Use an over the shoulder bag rather than a backpack. Hidden zippers and snaps are helpful to have. A money belt that you can keep concealed is also recommended. Utilize the safe or locker in your hotel for your valuables. Keep a photo of your passport on your phone rather than carrying it with you unless you know it’s in a very safe and guarded pocket in your bag. Use your phone rather than a physical map - paper maps will advertise that you are a tourist. Being unsure of where you’re going is a classic sign for pickpockets and scammers. Download the Maps.me app which uses your phone’s GPS rather than WiFi. Make sure you download BEFORE landing in Cuba. It will not work otherwise. Keep items such as wallets, phones or credit cards in your back pocket. Wear expensive jewelry or watches. Go out late at night to clubs or other nightlife establishments. These places are rife with scams, and the environment makes it easy to let your guard down and leave your belongings in the open. Always check your bill carefully in restaurants. Over billing and/or not returning the correct change are common scams. Familiarize yourself with Cuba’s dual currency notes to avoid being ripped off. Exchange money on the streets. Cuban currency is notoriously confusing and many scammers take advantage of this to rip you off. They may advertise a good rate, but give you the wrong currency type in exchange. 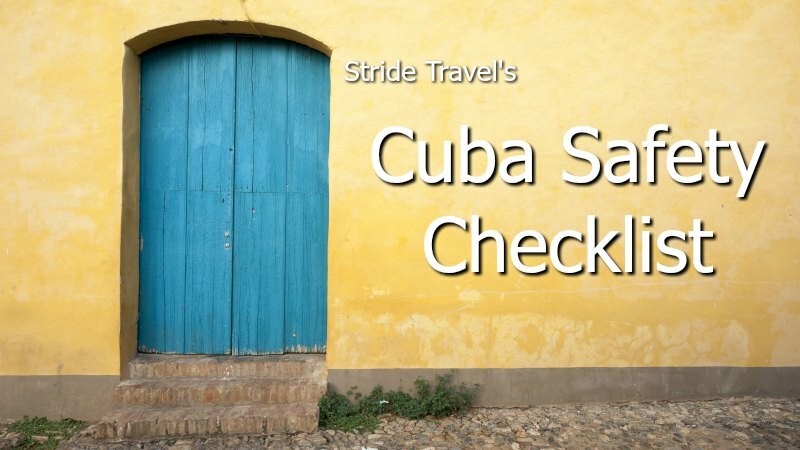 Cuba’s dual currency look very similar so this is an easy scam to pull on travelers. Drive slowly! Be wary of multiple unannounced hazards, bad roads, and minimal signage when driving in Cuba. Wear closed toed shoes, especially for walking in Old Havana. The streets are disheveled and sidewalks are crumbling. Protect your toes from stubbing and you’ll be much more comfortable! Drive at night. Roads are incredibly ill lit and dark at night. Hazards will be much harder to see, as will people animals, and other vehicles. Eat where the locals do. Most food is perfectly safe in Cuba - food borne illnesses aren’t terribly common. Eating at Paladres and where locals like to go is one of the best tips for avoiding getting sick. Buy plenty of bottled water in the cities before heading to Cuba’s more rural countryside. Drink tap water! While the food is generally safe, tap water is definitely not in Cuba. Be sure to buy bottled water instead. Cuba’s large police presence helps prevent some crime but not all. It is common to be propositioned to buy drugs or engage in prostitution. Be very wary and cautious about this underbelly of Cuban culture. Especially if you’re traveling with teenagers who may be enamored by cheap prices and an illicit nightlife. The consequences are extremely steep for buying illegal substances and bringing them across borders. Hurricanes are common in Cuba between early June through November. Strong rains are also common between April and June - these extensive downpours can make a trip less than ideal. Especially if you’re planning on visiting rural Cuba where flooding may occur. In the warm months, the sun will be stronger than you’re probably used to. Wear hats and a LOT of sunscreen.